“UR is deepening its environmental commitment, including Rethink Waste’s bold landfill diversion goals, the creation of an Eco-Corridor, the development of our first campus-wide sustainability plan, and our large-scale renewable energy project,” said Rob Andrejewski, director of sustainability. Earlier this year the University announced Spider Solar, a project where the university plans to purchase renewable energy from a developing solar energy facility. The energy generated by Spider Solar will equal all of the University’s current electricity needs, positioning UR as the first institution of higher education in the southeast to match 100 percent of its electricity needs with solar energy. Spider Solar follows an earlier pioneering decision in 2016, when the university developed Virginia’s first solar array project, constructing a 749 panel solar array on the roof of one of UR’s many LEED-Gold certified buildings, the Weinstein Center for Recreation. “Being recognized as a ‘Green College’ by The Princeton Review for so many consecutive years embodies our continued and growing commitment to stewardship and sustainability,” said Andrejewski. Schools are selected based on their academic offerings, campus policies, initiatives, activities, and career preparation for students. The ranking serves as a recommendation to prospective students seeking colleges with a commitment to the environment. 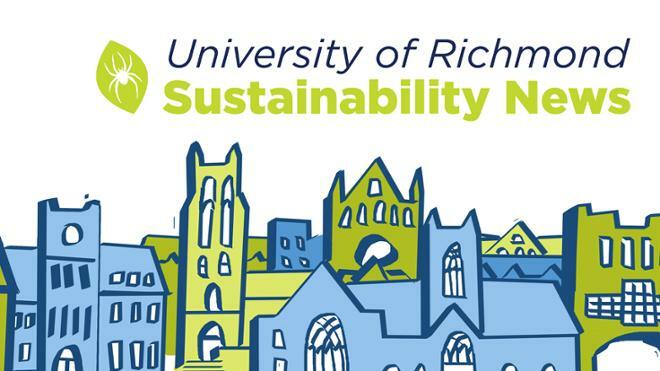 To see a comprehensive list of sustainability initiatives taking place at UR, visit sustainability.richmond.edu.